MADE and Made by Rae are having Celebrate the Boy Month from 15th February until 15th March 2011. An entire month dedicated to boy clothing ideas, boy crafts and oh boy! what fun it will be :). 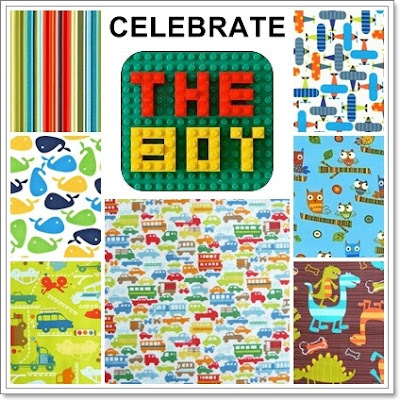 To celebrate the boy here at Itsy Doodles, we brought in new CUTE & FUN boy-friendly fabrics. And they are all my favourites :).